Bulgaria opened a new trade representation in Skopje on January 17, marking the occasion with a business forum involving 50 Bulgarian companies, the largest such bilateral event in several years. The Bulgarian delegation is headed by Deputy Prime Minister Tomislav Donchev, who held talks with his counterpart in charge of economic affairs, Kocho Angjushev. Donchev and Angjushev agreed to work together to simply the admission regime and establish joint border controls between their two countries. 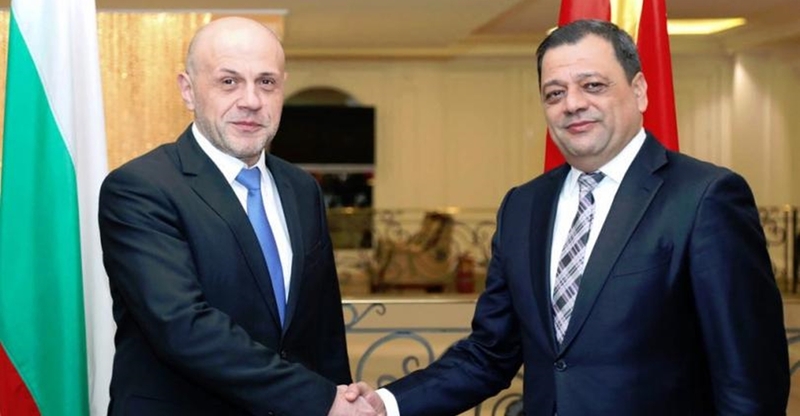 A shared priority for the two countries is the construction of transport corridor 8 and a railway line connecting Skopje and Sofia, Donchev said. Angjushev said that his country was interested in strengthening co-operation in the energy sector. Donchev and Angjushev agreed on the necessity of reviewing and alleviating all rules and administrative systems that are a burden on investment and trade between the two countries, the Bulgarian government information service said.